It’s the most adorable time of the day. Baby bath time is a special, one-to-one time with your child and is a great opportunity to bond and play in a stimulating environment. It’s also the perfect time to take care of your baby’s skin. Free from chunky nappies, snuggly mittens and this season’s must-have baby grow, you can really do a thorough check of your baby’s dermatological well being and make sure everything is happy and healthy. Like you and me, a baby’s skin benefits from a good cleanse every couple of days or so. We recommend 2-3 times a week – but more often is fine, especially if your baby sees itself as a little swimmer and enjoys water! The skin of a baby is much more sensitive than ours, however. It is much thinner and its protective layer is yet to fully develop, making it sensitive to pollutants, irritants and impurities. This lack of a natural defence, coupled with an inability care for themselves, makes babies’ skin particularly prone to rashes and dryness. You can’t be too careful, then, when it comes to looking after it at bath time. Just like an adult’s, you baby’s scalp and body need different care. You wouldn’t dream of washing your body with shampoo, or using your body soap on your hair – it would just never cross your mind. And yet, so many of us do just this to our babies, who we know have even more sensitive skin than us! We recommend using specialist products for scalp and body skin, just because the two types of skin have different needs. You baby’s scalp is some of the most sensitive skin on its body. You’ve probably noticed that it is common for babies get dry, flaky or even scaly scalp skin. This isn’t unusual. The problems usual lessen naturally as the skin develops and the protective barriers become more effective. 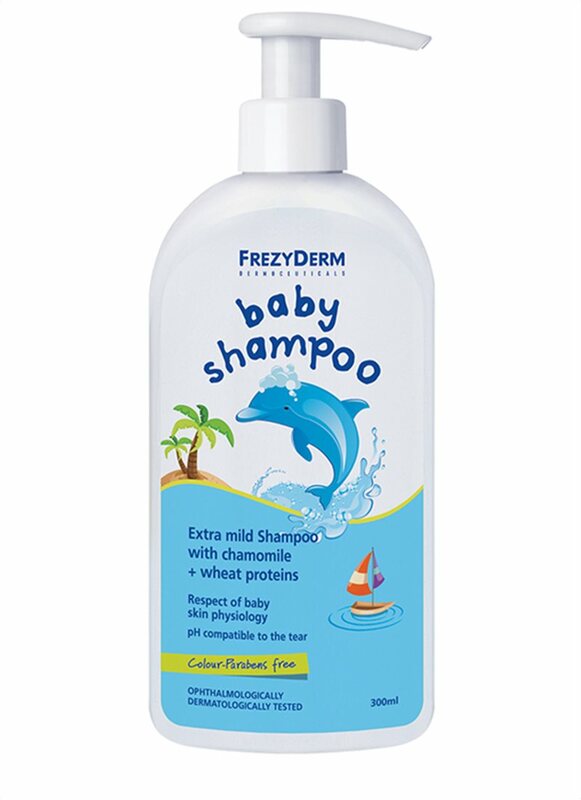 To best care for the super-sensitive area, we have developed Baby Shampoo. It has incredibly mild surfactants to minimise any agitation of the sensitive scalp, while keeping the hair itself hydrated. Meanwhile, chamomile extract soothes any irritation. The body skin of a baby is slightly more robust, but still much thinner and more delicate than our skin. Our Baby Bath can be used all over you baby’s skin to cleanse and sooth. It contains a mild emollient to make sure impurities are washed away, while maintaining your baby’s natural skin barrier and reinforcing wheat proteins.